Posted on Wednesday, March 27th, 2019 in Diamond, Engagement Rings, Guides. For many individuals, shopping for a diamond engagement ring is one of the first larger purchases they’ll have to make. Diamonds come in all shapes, sizes, and qualities so it can be a little daunting to make sure you find the perfect diamond within your budget. But don’t worry, we’ve got you covered. Just follow these steps to ensure you end up with the right diamond for your engagement ring. Research the different diamond shapes. Right now, the most popular diamond shapes are round, oval, emerald, and cushion. However, there are a lot more shapes to consider when it comes to selecting your diamond. Read this handy guide to determine which diamond shape is the best for you. 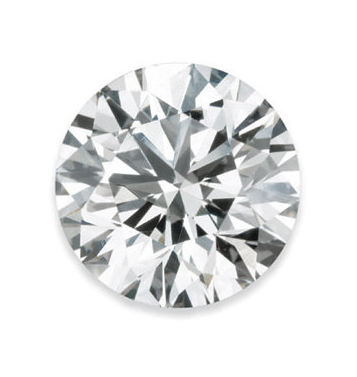 Determine which diamond quality factors are the most important to you. The 4 C’s (cut, color, clarity, and carat weight) all affect the value of a diamond. Those that have an excellent cut, are colorless, have no inclusions, and are larger in size will be the most costly. But obviously not everyone can afford these diamonds. This is why it’s important to get a better sense of which quality factors you care about the most. While most diamond experts agree that the cut is the most important factor, there may be other factors that are more or equally as important to you. Contact a jeweler that has a lot of experience working with diamonds. When purchasing something as significant as a diamond, you’re going to want to buy from someone you trust. A diamond buying expert can guide you into selecting the best possible diamond given your budget. They know how to analyze every characteristic of a diamond. So things like table and depth percentage that many customers overlook can be scrutinized by diamond buying experts. They also know where to find the best value on diamonds so that they can pass down the savings onto you. Finally, they’re always there to answer any and all questions you may have about diamonds. Always compare diamonds. Even though two diamonds may have the same quality characteristics, they can look very different from one another. You can really only judge a diamond when you place it next to others and compare them. While one diamond may appear hazy, the other might look crystal clear. While one diamond may have a bulky shape, the other may appear sleeker. It’s only when you look at diamonds placed next to each other that you begin to notice things you never would have thought of if you hadn’t compared them. Look at the diamond in different lights. Before you go ahead and purchase a diamond, it’s always a good idea to look at the gemstone under different light sources. After all, you’re going to be seeing the diamond in a variety of different lights after it’s placed in an engagement ring and worn every day. You don’t want to be surprised when you see the diamond in daylight after purchasing it in a florescent-lit store. If you’re still not sure which diamond is the right one for you, trust your gut. Remember that this is an emotional purchase. The diamond engagement ring signifies your love and commitment to the one person you want to spend the rest of your life with. So try not to get lost in all of the technical aspects of buying a diamond (leave that to the jeweler) and instead try to picture her face every time she looks down at her hand and sees that gorgeous diamond you picked out just for her. If you have any questions about the diamond buying process, contact Kloiber Jewelers at 414-276-2457 or info@kloiberjewelers.com. We have over 90 years of experience buying diamonds and can guide you into selecting the perfect diamond she’ll admire for the rest of her life.